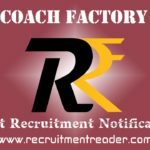 Latest Rail Coach Factory Recruitment Notification 2019 – Rail Coach Factory (RCF) Kapurthala invites application for the engagement of Apprentices. RCF Kapurthala announced 223 vacancies for Apprenticeship training in various trades. Candidates who have eligibility as per RCF Advertisement may apply online for the engagement at Rail Coach Factory website. The Last date to submit the online application is 23.03.2019. Latest Update:- RCF has released provisional merit list of Act Apprentices. Document verification will be held on 24.04.2019 to 25.04.2019. Find direct link to download merit list at the table shown below. Candidates are requested to submit their online application on or before the last date. Before apply for the Apprenticeship, Candidates should ensure whether they fulfil the eligibility criteria given in the advertisement. Also be aware of training period, training location, stipend, selection process and application process from the advertisement. Upper age should be below 24 years. Date for age consideration is 23.02.2019. National Trade Certificate in relevant trade. Look into RCF Kapurthala advertisement for more details of qualification. Except SC/ST/PWD/Women candidates, all candidates are required to pay an amount of ₹100/- (Non-Refundable). Logon to Rail Coach Factory and then find notification regarding Act Apprentices. Find advertisement and online application link at the home page. If you are eligible then apply online for the Apprentices Engagement. Complete the online application and make payment successfully. Finally take a printout of online application for reference. 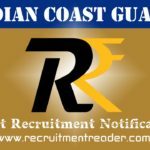 Find upcoming RCF Recruitment Notifications @ Recruitment Reader. 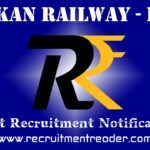 For more details regarding Rail Coach Factory Recruitment Notification 2019 logon to rcf.indianrailways.gov.in. The information given above is based on the RCF Kapurthala official advertisement. Rail Coach Factory (RCF) Kapurthala published notification for the recruitment against Sports Quota for the year 2018-19. RCF Kapurthala announced 03 vacancies for sports persons. Among 03 vacancies, 02 vacancies are announced for Wrestling (Men) Freestyle and 01 vacancy for Athletics (Men). Candidates who have eligibility as per RCF Advertisement may forward their applications through proper channel in prescribed format. The Application format can be downloaded from the RCF website. The Last date to submit the application form is 01.03.2019. 12th standard/ Matriculation + ITI. For other candidates, ₹500/- in the form of Demand Draft (DD)/ Indian Postal Order (IPO) in favour of PFA/ RCF, Kapurthala. Download the application format from the RCF website. Send the completely filled application form with required documents to the Office of the General Manager (Personnel), Recruitment Cell, Rail Coach Factory, Kapurthala – 144602 through ordinary post. Application envelope should have superscription as RECRUITMENT AGAINST SPORTS QUOTA FOR THE YEAR 2018-19. Logon to Rail Coach Factory website and then locate Recruitment. 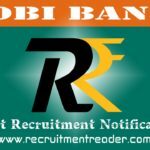 Find notification for recruitment against Sports Quota (2018-19). 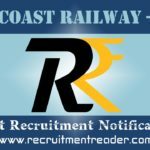 For more details regarding Rail Coach Factory Recruitment Notification 2019 logon to rcf.indianrailways.gov.in. The information given above is based on the RCF Kapurthala official advertisement.